Burgess tell me of a $2 million price reduction on the 52.8m motor yacht Sunrise, a joint listing with Merle Wood at Merle Wood & Associates. Built in 2000 by Oceanco for her current owner, she has been consistently maintained to a very high standard and never chartered. MCA compliant, she accommodates 12 guests in six cabins plus an additional cabin currently used as a children’s games room but could equally provide extra guest accommodation. Sunrise had a major refit at the Rybovich yard in 2010 where she successfully completed her 10 year Lloyds Special Survey and had a swim platform extension. She has great charter potential. 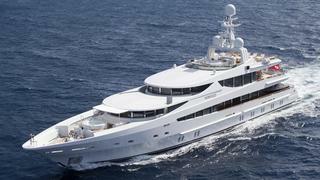 Sunrise is now asking $19.95 million.